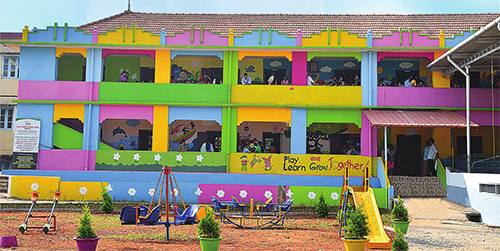 The college situated on the serene hiltop – Mary Giri – was established in1981. His Holiness Ignatious Zakka Ivas I, PrincePatriarch of Antioch and all the East laid the foundation of hte main buiding of the college on 26 February 1982. 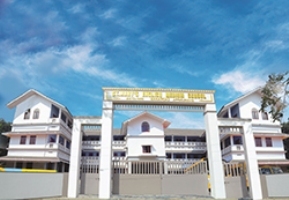 ThisFirst Grade College, affiliated to the Mahatma Gandhi University offers Undergraduate courses in English (copy editor),History (Archaeology and Museology), Physics (Applied Electronics), Chemistry, Zoology and Commerce (B. Com-Computer Applications) and Postgraduate courses in Chemistry, Zoology, Physics & Commerce. The College also has a research center in Zoology and a reserch laboratory with advanced facilities for studies and research on leptospirosis,rodent pest management and small mammal diversity. 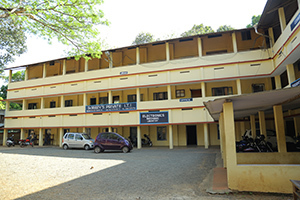 This industrial training center recognised by the Goverment of Kerala was established in 1978. The center offers vocationaltraining programmes in the following trades.Electronics, Draughtsman, Civil, Fitter, Welder, Fashion technology Mechanic – Motor Vehicle, Mechanics-electronics Mechanic – Diesel&Survey. The School was established in 1949 when there was no other highschool in Manarcad and adjoing places. 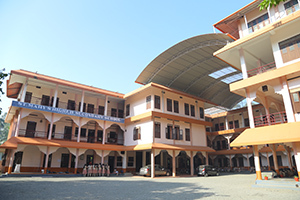 In 1998 the school was upgraded into a Higher Secondary School with courses in science, computer science, humanities and commerce. 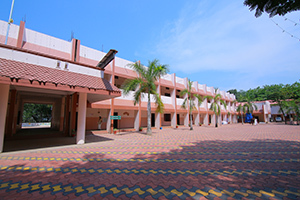 This school was established in 1992. Now it conducts classes right from LKG to Class X. 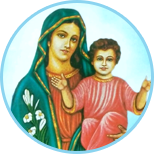 The Sunday school was started in 1926 with the aim of inculating faith and spirituality and leadership qualities among the children of teh Parish.At present 16 Sunday Schools are functioning effectively in the different Karas of the parish; in all there are 220 teachers, and 1600 students. Every year the sunday school organizes programmes such as Vacation Bible School(VBS), Teachers Seminar and Christmas Carols.